Fabric: 100% Silk (Lining: 95% Viscose, 5% Elastic) . Feel a little bit glam this season in the Made in Italy Cady Silk Top. 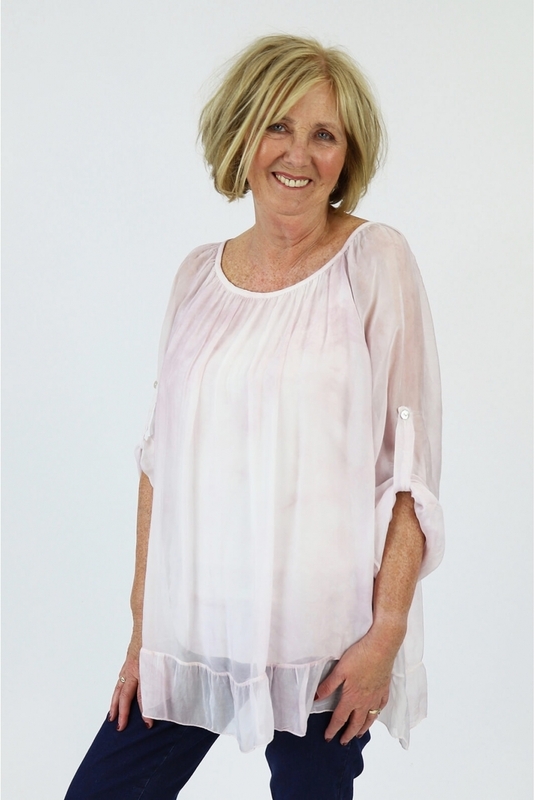 This stunning silk style features gathering to the neckline and long seeves with button back detailing. Finished with an attached vest you can simply add jeans, heels and some sparkly jewellery and you are good to go!